Too often one hears about the challenges Africa faces, while innovations that are being developed on the continent often get less coverage. Nevertheless, talented innovators from diverse backgrounds are developing sophisticated ways to improve healthcare, increase food production and alleviate poverty. The Innovation Prize for Africa 2017, one of the biggest cash prizes on the continent, which took place in Accra on July 19, was a flashy showcase for homegrown ingenuity. 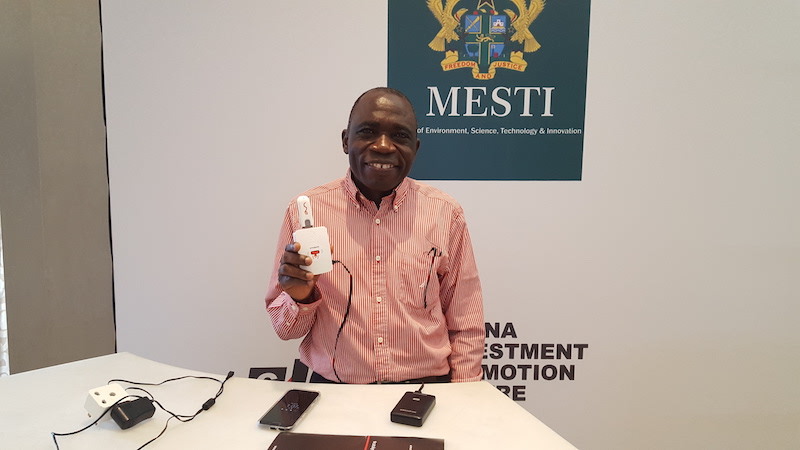 Among the nominated innovations: a test which can diagnose seven diseases including Ebola, malaria and typhoid, in less than 40 minutes; an online platform which aggregates purchases so consumers in townships can buy in bulk at reduced prices; as well as a software platform which allows remote communities to access email without internet coverage at a fraction of the price. 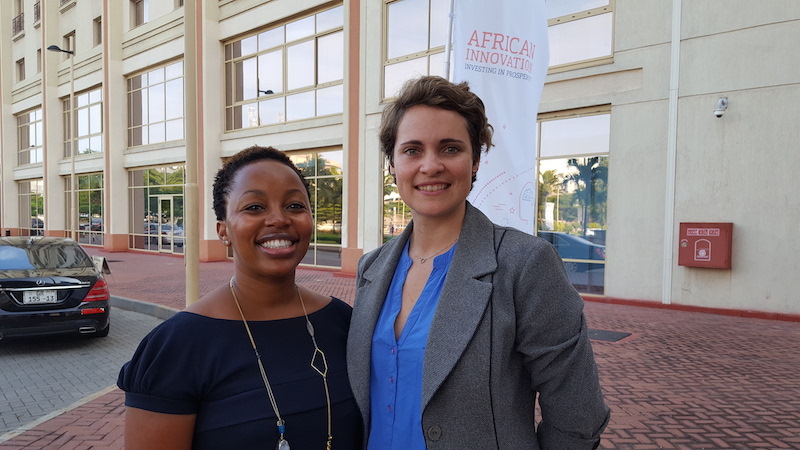 Nokwethu Khojane and Lauren Drake founded Lakheni in 2015. The online platform allows low-income households aggregate their purchases so they can buy for less in bulk. Lakheni currently delivers the goods to over 90 local drop off points in the Cape Town – like daycare centres. The organisers were quick to point out that year on year the number of applications has increased, reaching a six-year and all-time high at 2,500 in 2017. This has happened against the backdrop of the volatile investment market. According to the website Disrupt Africa, startups raised over US$129 million in 2016, a decrease from the previous year. And given that investment in the USA that same year was estimated at over $61 billion, it’s clear that Africa is still virgin territory for venture capitalists. One of the ten nominees confirmed off the record that a lack of investment means grants and competitions like the IPA are a lifeline for innovation. This needs to change before the African startup scene can grow significantly. Many investors focus on startups which follow a model they recognise and are more mature. Jumia, an online marketplace and Africa’s first unicorn, is a case in point. Venture capitalists make a beeline for Lagos, Nairobi and Johannesburg. Nzola Swazisa founded Lokole to bring affordable emails by sharing the cost of bandwidth to rural communities in the Democratic Republic of Congo. The US$100,000 prize went to Aly El-Shafei, an Egyptian academic who has invented a smart bearing which reduces vibrations and improves the energy-generating performance of turbines. 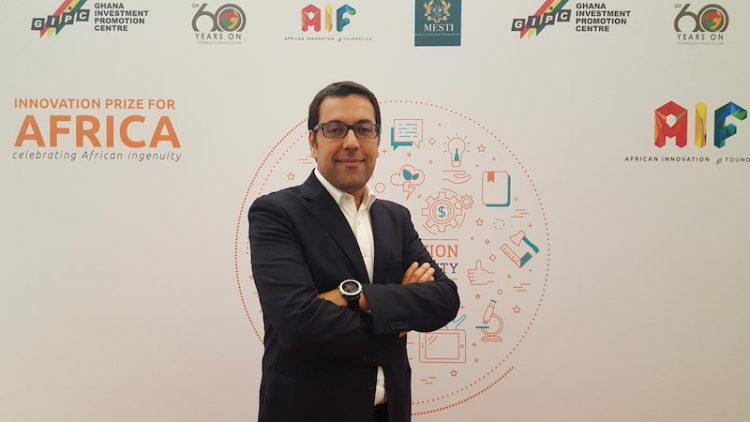 It’s yet another sign of the growth of the North African startup scene. Egypt has the second most startup hubs and accelerators on the continent, after South Africa, and Disrupt Africa reported that fundraising for Egyptian startups increased by as much as 105 per cent in 2017. Professor Aly El-Shafei has already tested the bearing in his Cairo laboratory, and successfully applied for a patent in the US. He is now looking to raise more finance from international companies like Siemens and General Electric to build an industrial prototype in Egypt. North Africa was also represented by Atlan Space, a Moroccan startup which develops software to enable drones to collect data unmanned and thereby monitor large tracts of land. The ability to detect illegal activities like fishing is something which could certainly attract international interest. Badr Idriss was nominated for Atlan Space, software which allows unmanned drones to collect data over large areas of land. This year’s competition was the first to feature nominees from Liberia and Zimbabwe – as well as the DRC. 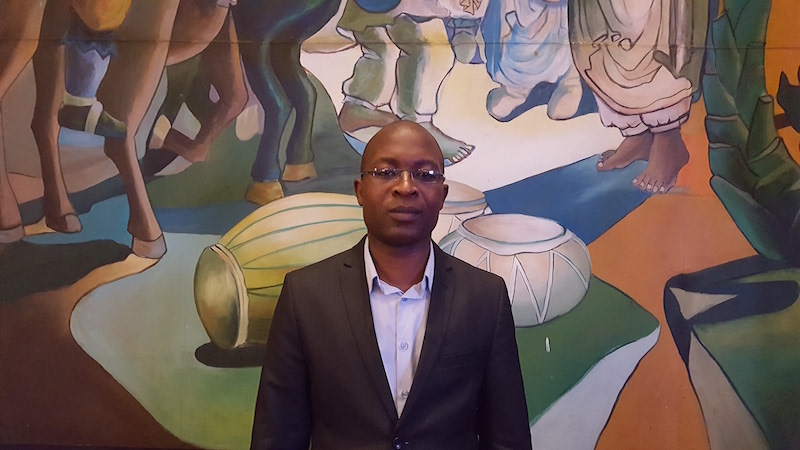 Gift Gana, a 34-year-old innovation consultant based in Bulawayo, Zimbabwe, has developed Dr CADx software, which supports doctors and nurses who often do not have access to trained radiologists. Dr CADx examines x-rays and diagnoses with a 92 per cent accuracy rate. This image recognition software led on from Gana’s previous work in Europe detecting breast cancer metastasis and his app that helps birdwatchers spot and identify breeds of birds. Gift Gana is the 34-year-old founder of Avelgood Apps and behind Dr CADx which uses deep learning to recognise diseases in x-rays. Like fellow nominee Olanisun Olufemi Adewole’s Sweat TB Test, which uses a small patch to detect Tuberculosis, Nyan’s portable diagnosis tool costs only a couple of dollars per test; is rapid in case the patient has an infectious disease; and is designed for the expertise of local doctors or patients. Given the test detects Dengue fever, it could be used in other emerging markets, for example, in South America. 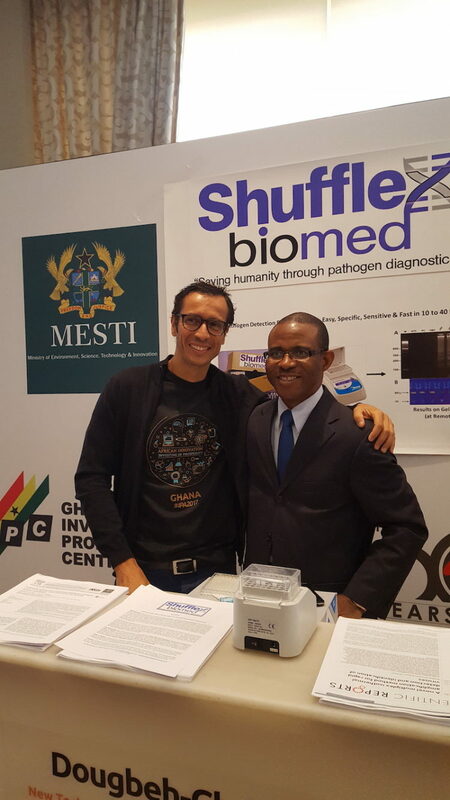 Jean-Claude Bastos de Morais with Dr Dogbeh-Chris Nyan.